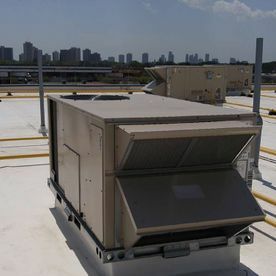 Commercial HVAC Installation Toronto & GTA | Lucky Air Climate Control Ltd.
With hot summers and cold winters, intense weather is a common visitor to the GTA. If you work in a business-centred metropolitan area like ours, you probably spend most of your day hard at work in an office. Many office workers wouldn’t doubt the importance of a reliable and functioning climate control system. A workplace that’s too stuffy or too chilly can create a disgruntled work team with low morale, not to mention decreased productivity. Why not make your job easier? Ensure your employees and colleagues are comfortable from nine to five by choosing HVAC installation done by GTA professionals. We can install your HVAC system properly so that your company’s energy investment goes towards a productive, welcoming place all year round. 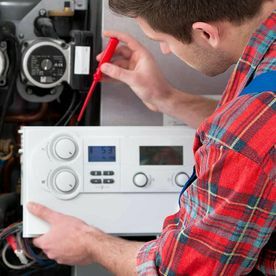 When you choose Lucky Air Climate Control Ltd., you can be confident that professionals with experienced knowledge are on your side. 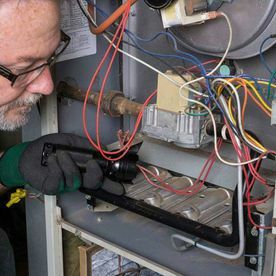 Our Scarborough-based company has been in the HVAC business since 2005, serving clients all over the GTA. We are proud of our reputation for friendly and efficient service without the inflated price tag. Our team will get the job done fast and clean up the work site afterwards, too! Call Frank for a quote today! Our technicians are pros at problem solving. When you call us for a repair service, we put on our investigator caps in order to find out what’s wrong and fix it. The same process applies when we’re creating ductwork. If your building has space constraints, we offer custom sheet metal fabrications unique to your system. Our ductwork is manufactured to exacting standards in order to keep your unit working efficiently. 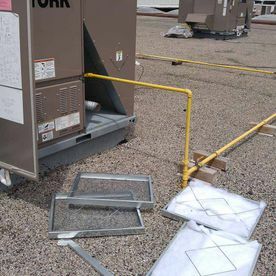 Improperly sized or poorly designed ducts are common reasons for high energy bills and discomfort due to rooms not receiving warm or cool air. Our custom ductwork prevents these problems. Give us a call to learn more about our services. We offer WSIB-registered commercial insurance up to $2-million.